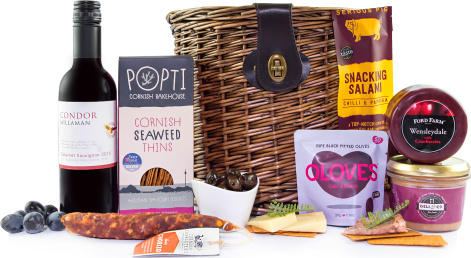 We have selected the very Best of British deli products to make this spectacular gift hamper. Complete with a Cabernet Sauvignon, salami, chorizo, cheese and so much more, this is a gift guaranteed to get those taste buds going. Certainly a gift with a wow factor.